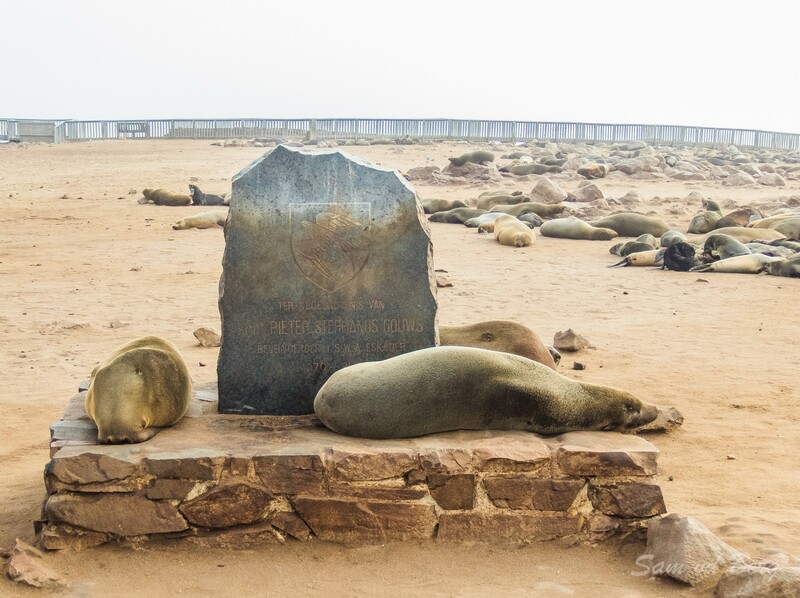 The Cape Cross Seal Reserve is a protected area managed by the Namibian government. 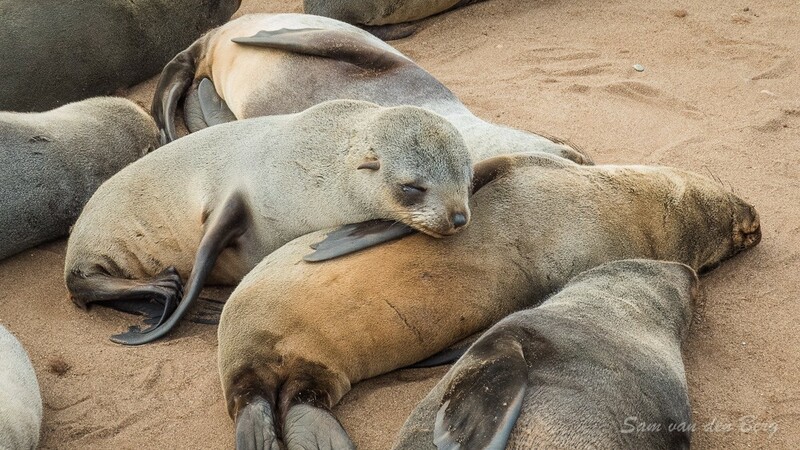 It is home to one of the largest Cape Fur Seal colonies in the world. 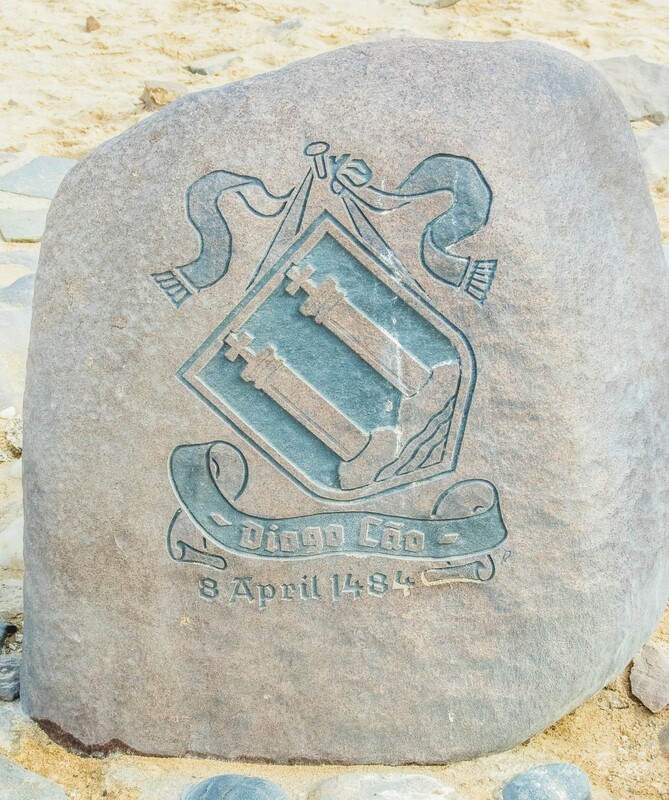 It derives its name from the padrão (stone cross) that was initially erected by Diogo Cão in 1486. 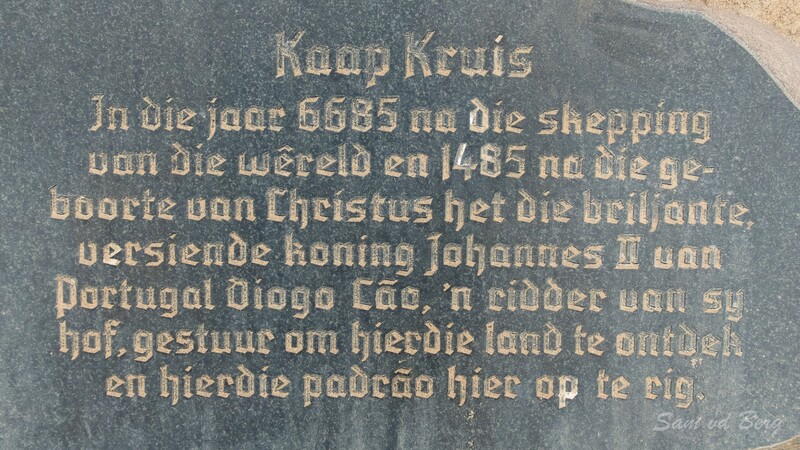 Diogo Cão was in 1484 ordered by King João II, as part of the search for a sea route to India and the Spice Islands, to advance south into undiscovered regions along the west coast of Africa. While doing so, he was to choose some particularly salient points and claim them for Portugal by setting up on each a stone cross called padrão. 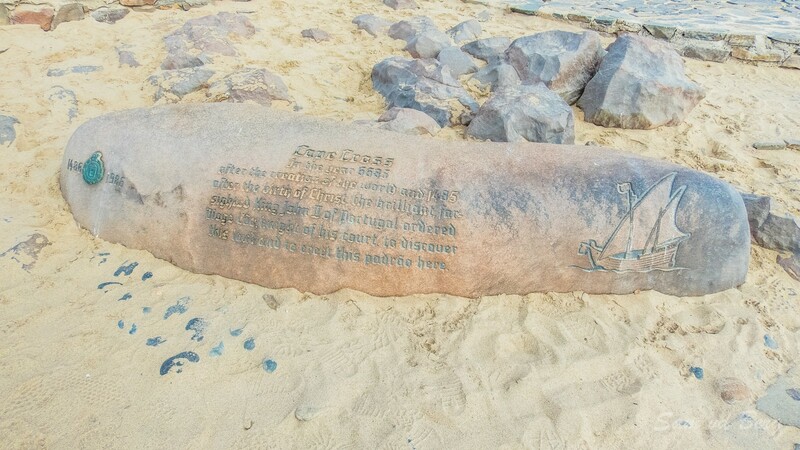 Cão reached Cape Cross in January 1486, being the first European to visit this area and erected the padrão made of limestone and just over 2 metres high. It weiged about 360kg. 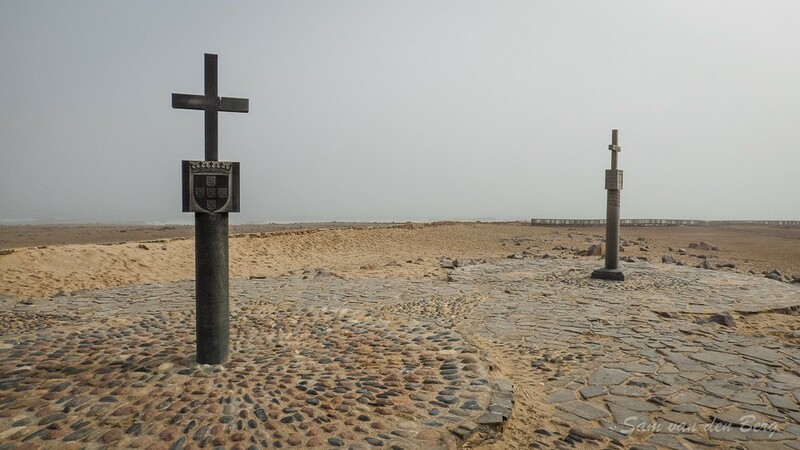 Today there are two crosses at Cape Cross, both replicas of that first cross. The original cross withstood the elements for moer than 400 years until it was removed in January 1893 by Captain Becker of the German cruiser Falke and taken to Germany. The cross was replaced by a temporary wooden cross. Two years later a granite replica was made and erected on the instructions of Kaiser Wilhelm 11. 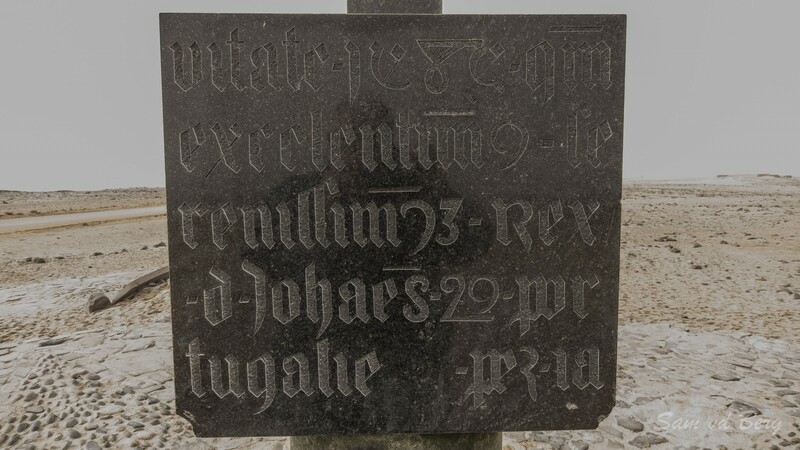 This cross bore the German coat of Arms and German text in addition to the Portugues and Latin inscriptions on Cão's cross. In 1974 the area around the site was landscaped and an authentic replica of Cão's cross was erected. It was commissioned by the National Monument's Council and unveiled in 1980 on the exact spot of the original cross. 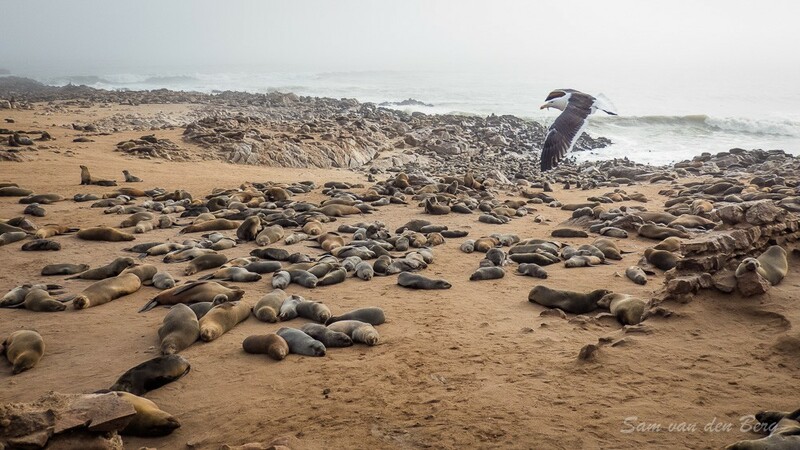 The rich concentration of fish in the cold Begualla current at Cape Cross resulted in a large population of Seals. Seals are present throughout the year but the number fluctuates. In Mid October the colony becomes busy when the bulls arrive and establish their territories. 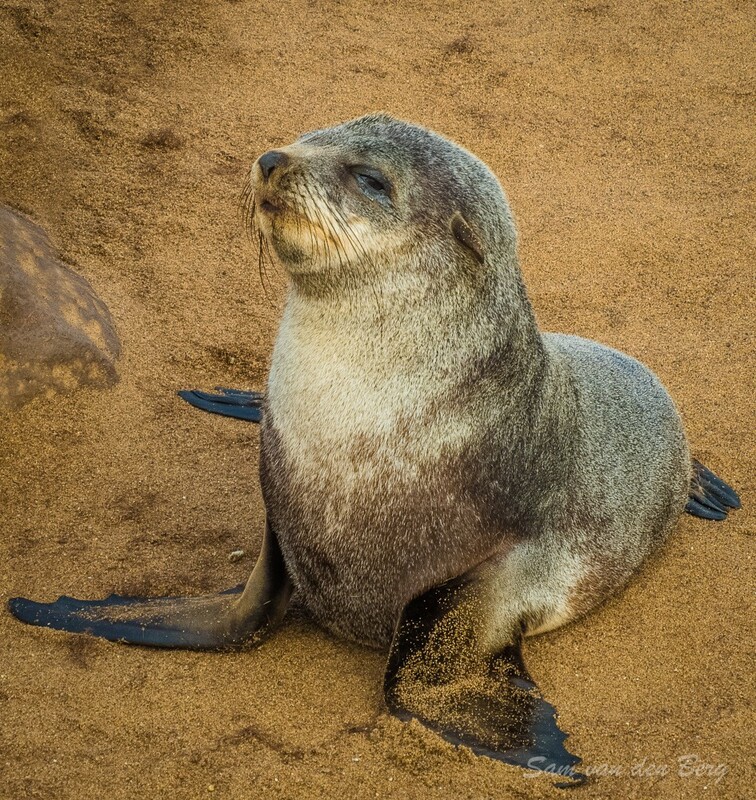 Late November to early December the pups are born after a gestation period eight months. When the cows go out to feed at sea the pups are vulnerable to predators such as black backed jackal and brown hyenas. Upon return the mothers will locate the pups with a combination of scent and calls. The seals have been culled for their skins and other products since 1895. The demand for pelts crashed as a result of the stand of animal rights groups. There is also a memorial for Cmdt Pieter Stephanus Gous, Officer Commanding 1 SWA Commando Squadron. He was reported missing on 21 Feb 1981, when his Civilian aircraft, a Cherokee 6 PA32-300, Registration ZS-EXG disappeared without trace while flying a reconnaissance sortie up the South West African Coastline. He has no known grave but this memorial. 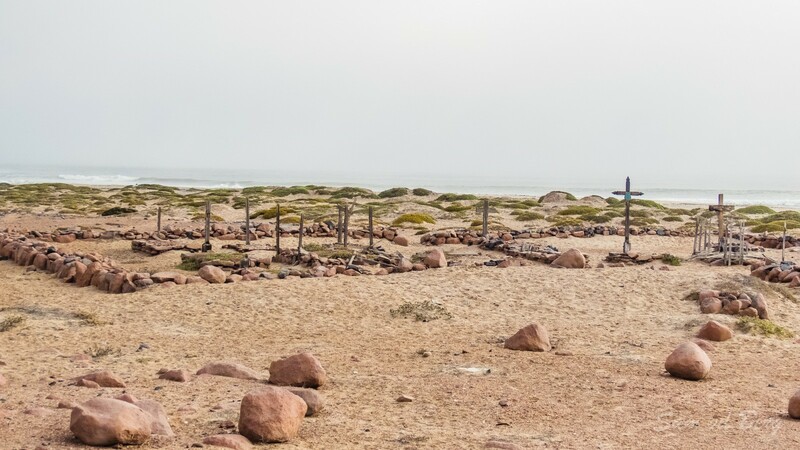 There are also a number of graves marked by wooden crosses presumably of persons who were involved in the culling of seals. Source : African Adventurer's Guide to Namibia by Willie and Sandra Olivier.